Rebecca Poole (Tickets) serves as Wheaton Drama’s Ticket Queen and wears many other hats besides that crown. She was most recently properties co-chair for Black Comedy. She has also served as production manager for On Golden Pond, Little Women, Oliver!, Oklahoma!, Deathtrap, and I Never Sang For My Father. She is also one of our regular stage managers and has worked on such shows as Noises Off, A Year With Frog and Toad, The Wizard of Oz, Annie, Rumors, and Creating ARThur. 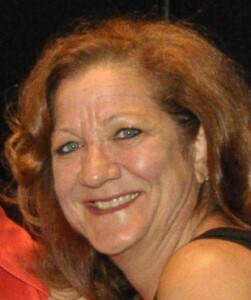 She is a recipient of the Alice Burnham Award and had been a Wheaton Drama member for over 25 years. She lives in Carol Stream with Don and dog Lily Beau.